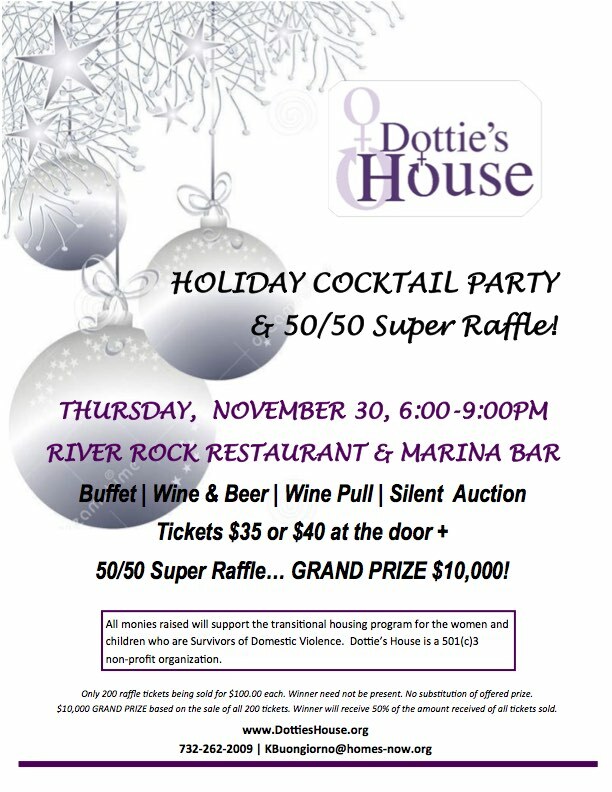 Supporters of Dottie’s House, a shelter for abused women and children in Ocean County, will host a holiday cocktail party and 50/50 raffle event Thursday in Brick as a fundraiser. The event will run from 6-9 p.m. at the River Rock bar and restaurant off Route 70. Tickets are $35 in advance and $40 at the door, and include a full buffet, wine and beer, wine pull and a silent auction. The grand prize in the 50/50 raffle is expected to be $10,000. For more information, call 732-262-2009.